It can feel daunting to use Dashlane the first time. 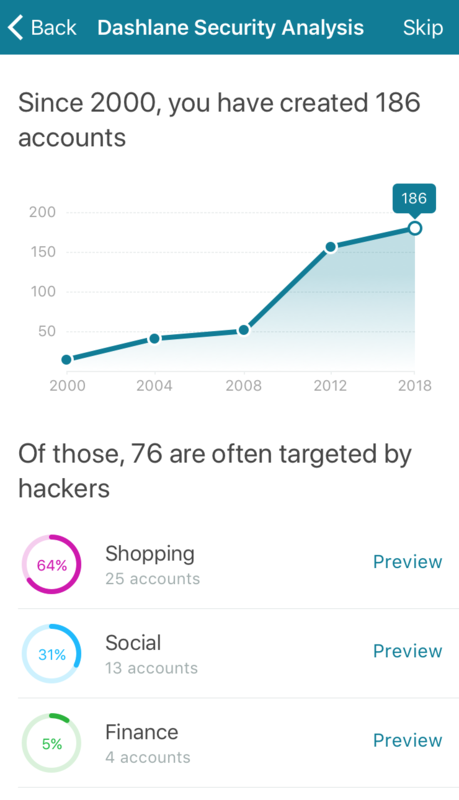 Many users have forgotten the dozens of accounts they created online, and they haven't yet seen how easy Dashlane makes it to bring their passwords into the application. 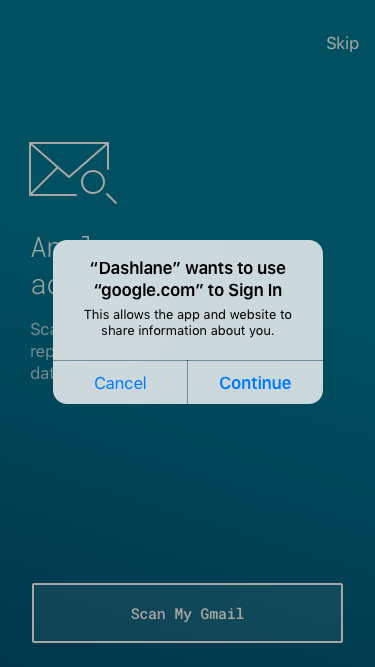 In addition to how Dashlane remembers your accounts and passwords as you use them, there are two main tools to jump-start your online security with Dashlane: On your desktop, you can import passwords directly, either from your browsers, from files from other password managers, or from a custom CSV file. If you're on a mobile device, there's the Inbox Security Scan. Some new users are automatically prompted to try out the scan. But if you weren't prompted or skipped the process at the time, you can launch it by tapping on "Inbox Scan" from the Tools menu on iOS or in the main menu on Android. Free users should be sure to use the Inbox Security Scan during their Premium Trial period, as it will not be available to them after that. Please note that the Inbox Security Scan is currently only available to you in English or in French. If you use Dashlane in another language, the feature is unfortunately not available to you. What does the Inbox Security Scan do? The Inbox Security Scan scans an email address you provide and produces a custom analysis of the online accounts you created using that address. You'll find out how many accounts you have, and be given a breakdown by category of which are the most targeted by hackers. 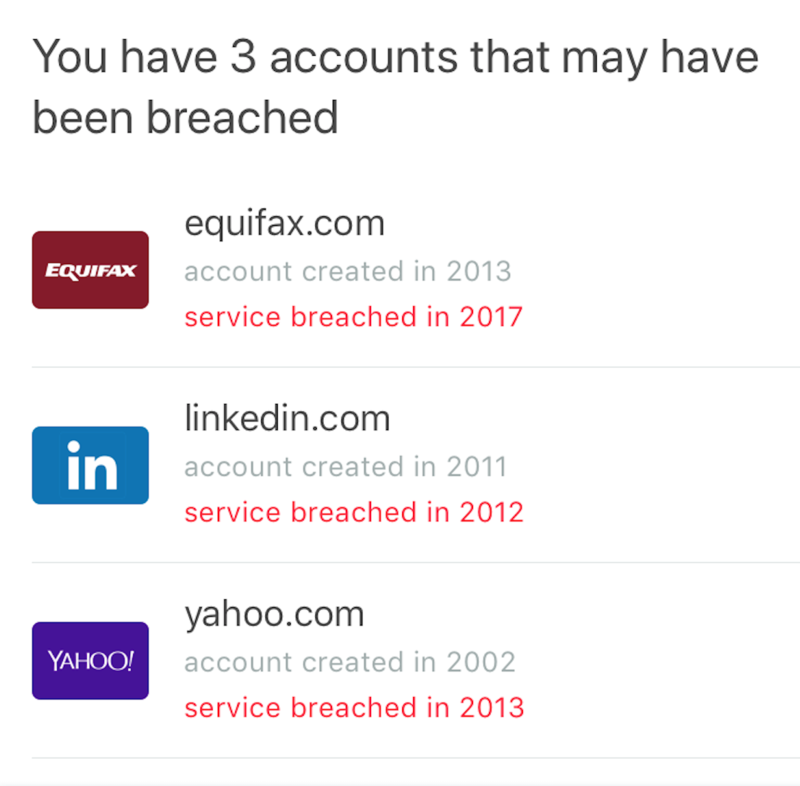 The scan allows you to see the kinds of accounts you have created and gives you as sense of where to go first to best improve your security. Indeed, Dashlane now includes compromised accounts in the Inbox Security Scan. We'll warn you if any of the accounts you just imported have been reported as breached since they were created. These passwords should be your first priority! 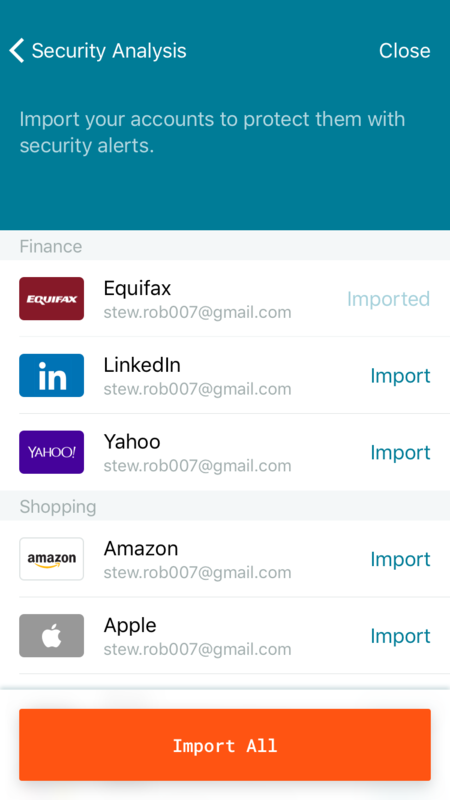 Click on the button to "view your accounts", and you'll be given the choice to save as many as you like of the accounts identified by the scan directly into your Dashlane application. Keep in mind that these accounts do not yet have their passwords filled in. The tool is designed to get you started and help you know where to go first to begin improving your security with Dashlane! The Inbox Security Scan currently works with both Gmail and Microsoft accounts (for example, @hotmail.com, @live.com, @outlook.com, @msn.com). To run the scan, you must enter the email address you wish to scan, then temporarily authorize the application to access your email account. The scan does not evaluate any information from your email address other than the accounts you created. If you use multiple email addresses, you can run the Inbox Security Scan on each of them to identify all of your online accounts.